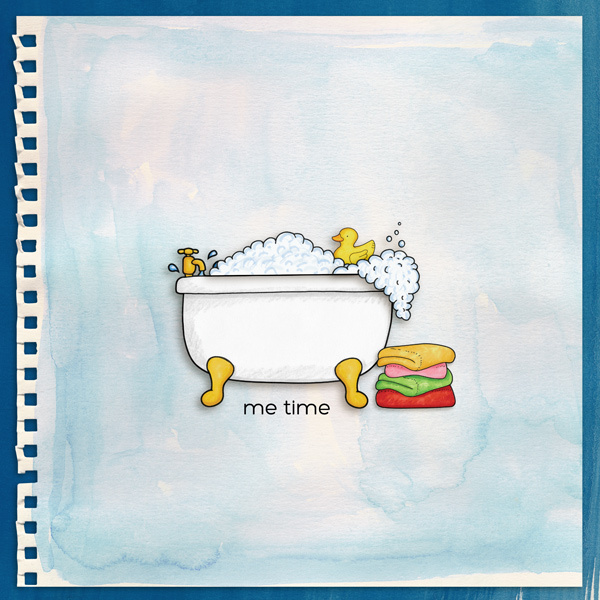 Splish, splash - it's bath time! 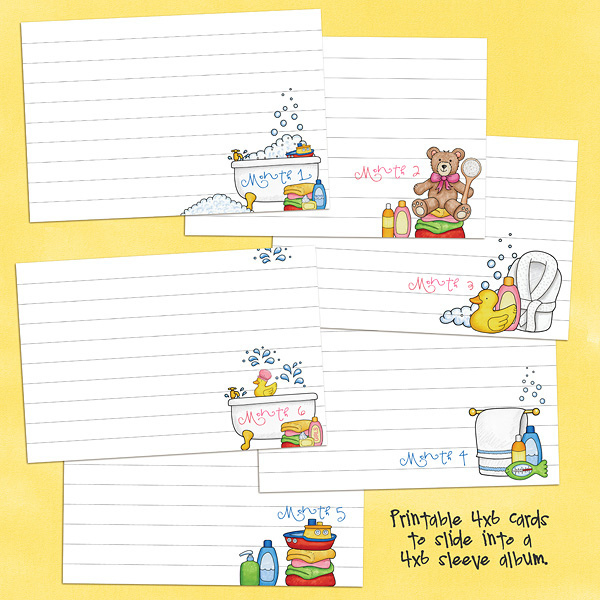 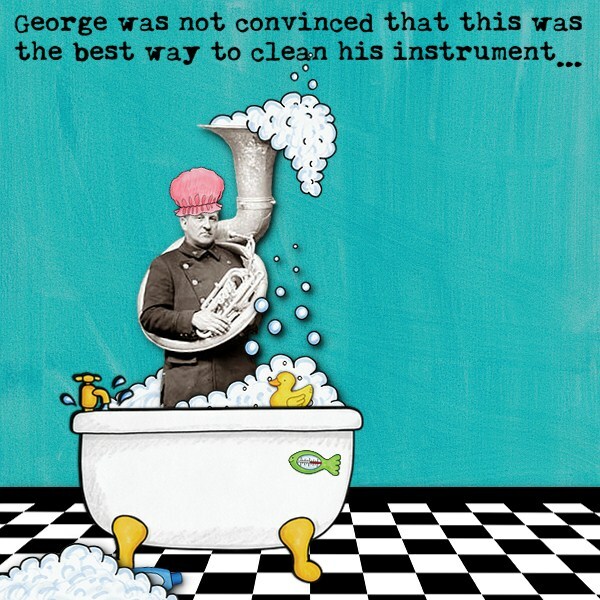 Perfect for recording all those watery moments from your little one's first ever bath, a favourite bath toy to making bubble bath beards, Bubble Bath contains the following hand drawn doodles: back brush, 3 bubble doodles, 2 bath robes, bath tub, 3 bottles, comb, bath frilly, hairbrush, hand soap, mirror, rubber ducky, shower cap, 2 slippers, soap, 2 splashes, sponge, thermometer, toothbrush, toothpaste, pile of towels, towel rail, toy boat and wash mit. 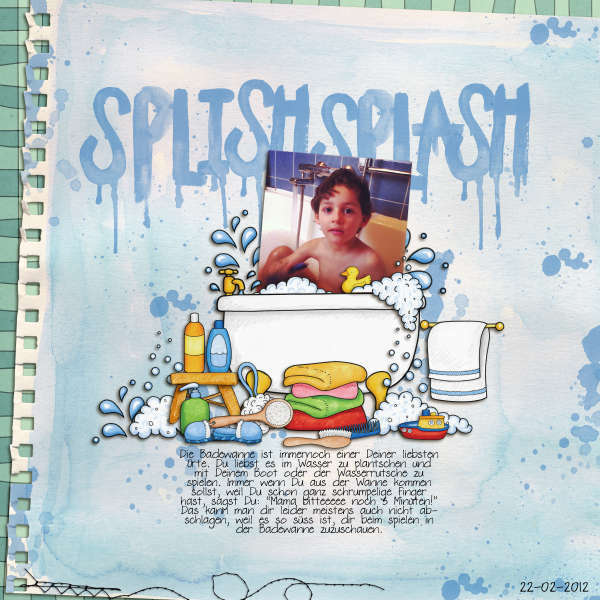 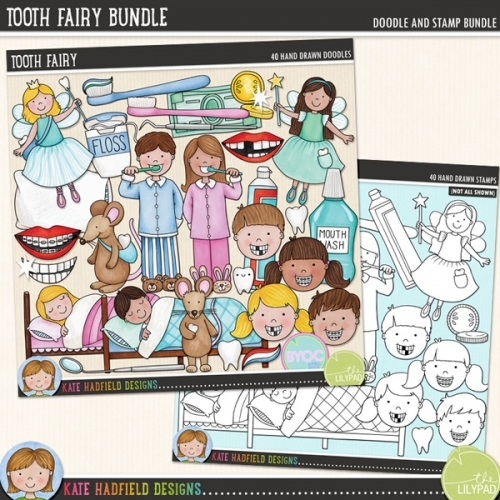 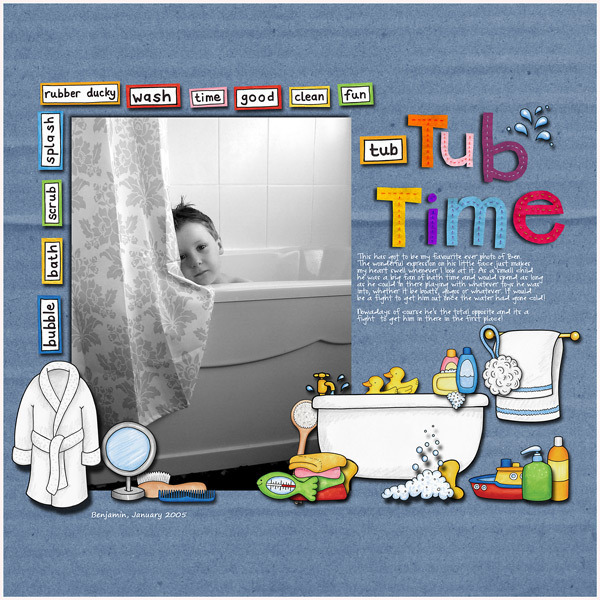 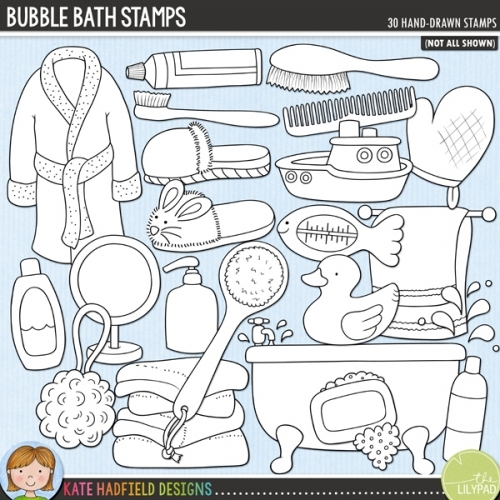 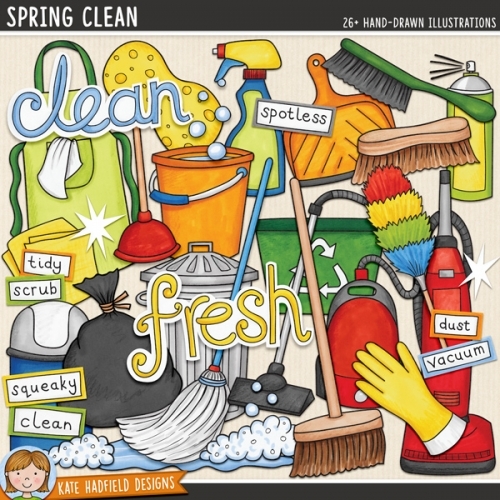 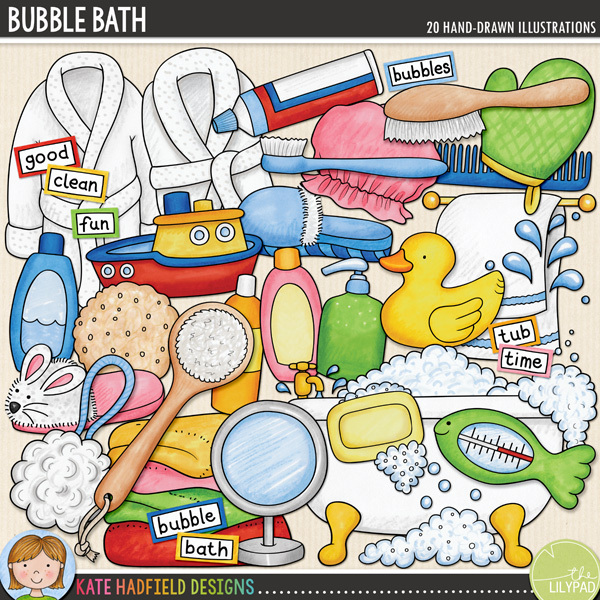 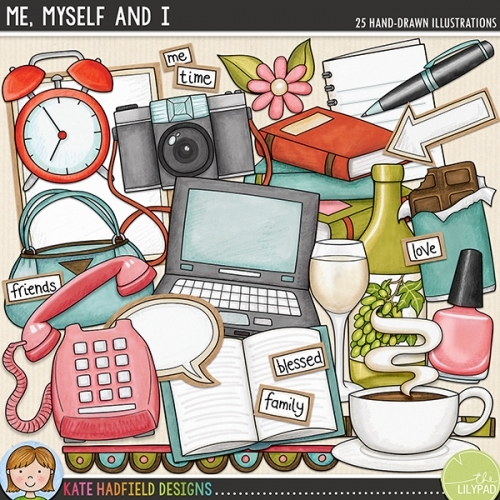 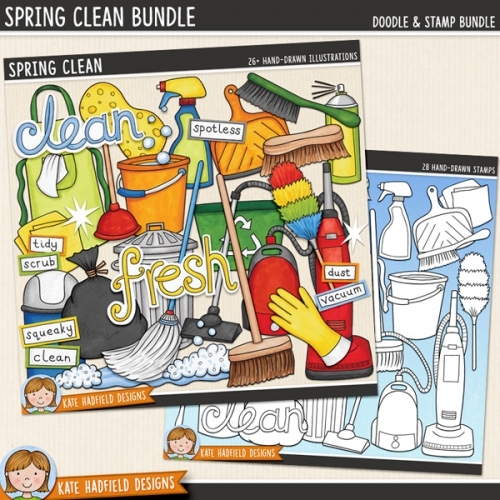 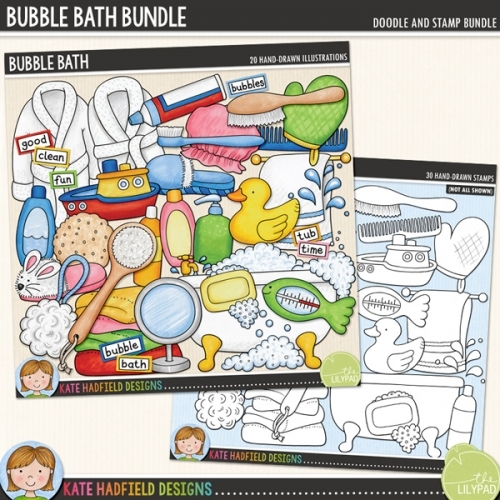 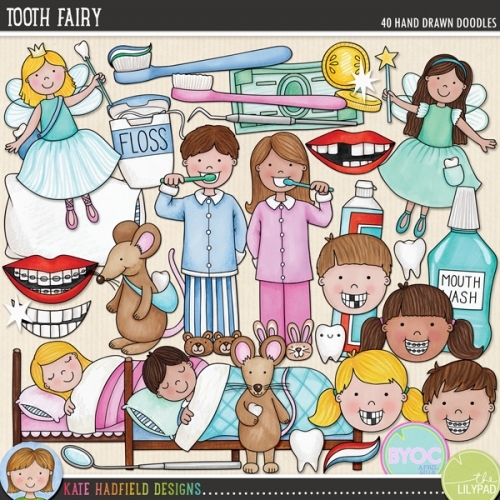 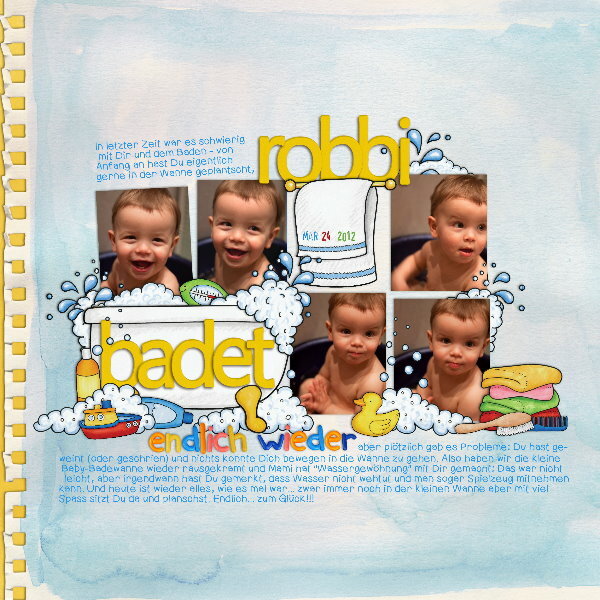 Also contains the following wordy-bits wordstrips: bath, bubble, bubbles, clean, fun, good, rubber ducky, scrub, splash, time, tub and wash.